We all know that change can be a difficult task, but it’s not impossible. 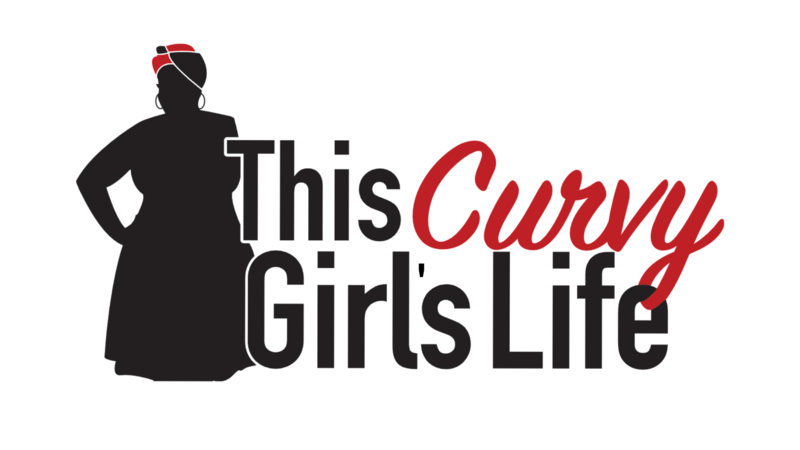 Making a better life for yourself can be as simple as saying no more often, or going to the gym 3 days a week or just being more open with your partner. However, although we know these things, far too often there is something that is holding us back or we are still focused on our past mistakes. Over this past weekend, I had the thought, if I had to choose three things that I can start doing today that would change the projection of my life, what would they be? Of course, my immediate thought was “why only three?” Three is more than enough and for some people it may be too much. As you know, I’m in full swing of my “Do the Work” challenge, so I’m constantly thinking of how to stay focused and how I can stay motivated to keep going and see the changes that I want to make in my life come to fruition. It’s just the beginning and I have had a few setbacks, but I’ve also had some amazing opportunities come my way since digging in and doing the work! Choosing three areas in your life to change can seem like a daunting task, so if three is too many then just choose one. You just have to start somewhere and not keep pushing off what you already know you’re supposed to do. Meditation and Prayer – Being still and listening to God has become very important ritual in my daily life. In the morning, I will read a few scriptures and a devotional to help put me in the right mindset. I give thanks for my family, job, my life and the blessings. I then go into prayer, which is a combination of talking with God and being still, while I listen to God. Get Moving – Exercising is one of those things that I want to do, but rarely actually do, but I’ve made a commitment to make this a priority in my life. Exercising is great for weight control and weight loss, but it is also great for your mental health and mood. If you want to change your life, your mental health and mood are so important. When I’ve felt my lowest, it was rare that I was doing any type of exercising and when I do take the time to care for my body, my mind feels refreshed and I feel like I can conquer whatever you throw my way. Start before you’re ready – I’m a planner by nature. I need to plan everything out before I can make a move, but sometimes actually many times this did not work in my favor. I would spend so much time planning that I get overwhelmed and feel like I can’t accomplish everything that needs to be done. I’ve decided that I’m just going to start instead of waiting or planning for the right the moment. This concept seemed so foreign to me at first but then I started in few areas that I’ve been neglecting and I feel as though I’ve accomplished something. The momentum is going, I’m seeing things happening and I’m motivated to keep going. Are you feeling stuck? Not sure which way to go in life? Here are three things that you can start doing today to help change the projection of your life. Take a look at where your life is going. Is your life aligned with your values? There are so many of us that are scared to admit it, but our life and values are in conflict. When we take the time to really look at this area, we have to say, “Okay, what can I do differently? How can I reach my goals?” It’s going to take some soul searching and you may have to step out of your comfort zone. Get Uncomfortable. Get out of your comfort zone – We all get stuck in routine and our everyday familiar surroundings, but we all need variety of life to experience joy. Start something new that you’ve never experienced before. For example, write a book, go to play, or talk to random stranger. You never know how trying something new or meeting someone different can have a life-changing impact on you. Practice Self-Forgiveness – Don’t travel on the lifelong train of regret. We’ve all had issues that we haven’t spoken to anyone about because we feel ashamed or guilty. We all have areas in our lives where we know we could have done more or given more, but guess what, it’s Okay. We are human, we make mistakes, and we wish we would have done things differently but in the end, it was a part of our journey. We have to forgive ourselves and let go of all of those things so that we can be open to the all that life has to offer us right now. Now it’s your turn! 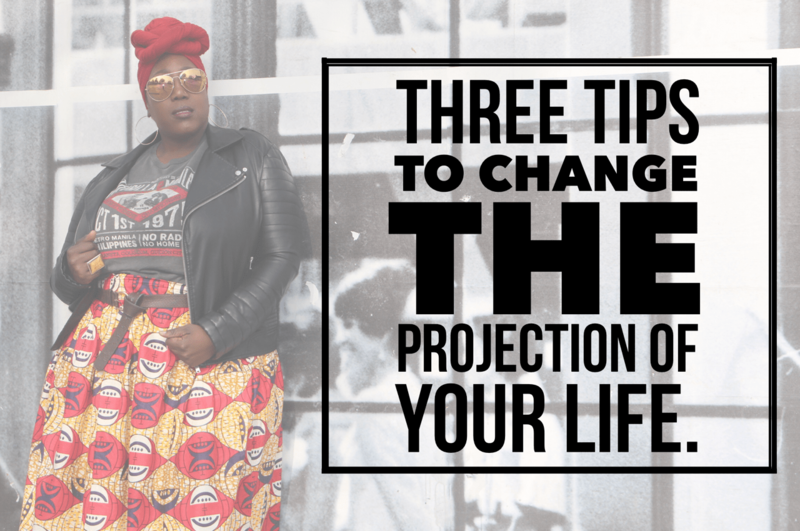 What are three things that you can do today to change the projection of your life? Comment below, so we can encourage and support you on this journey! Exercise is always on my list! I make new goals every week but a lot of time I fail but I’m going to get back at it.